continuous, 800 amps surge at 12 volts. Constructed of copper zinc alloy. 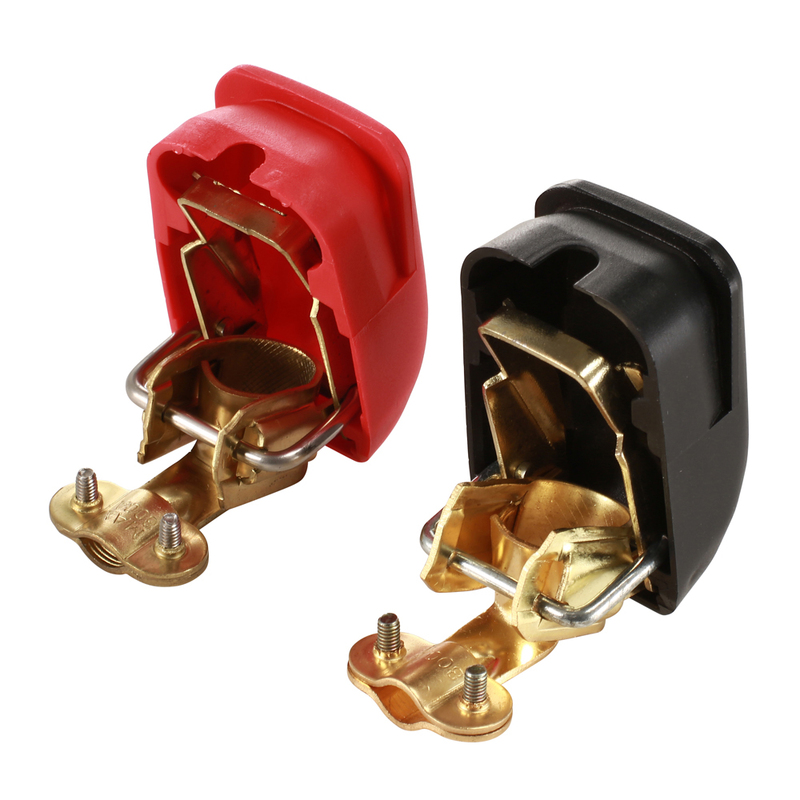 Easy to identify red and black covers prevent the risk of electrical shock.